For maximum comfort and security in and near water. All Leica binoculars are waterproof to a depth of 16.5 ft/5m. 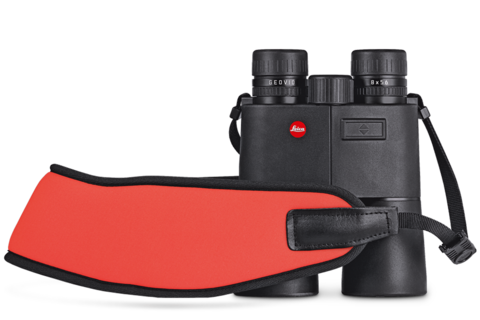 With the floating neoprene carrying strap they will always remain afloat, allowing for the care-free use of Leica binoculars near or in water. The strap’s eye-catching signal orange color offers optimum visibility, so the binoculars can be found easily and quickly. The extra wide fit of the strap protects the neck and shoulders when carrying heavier equipment.